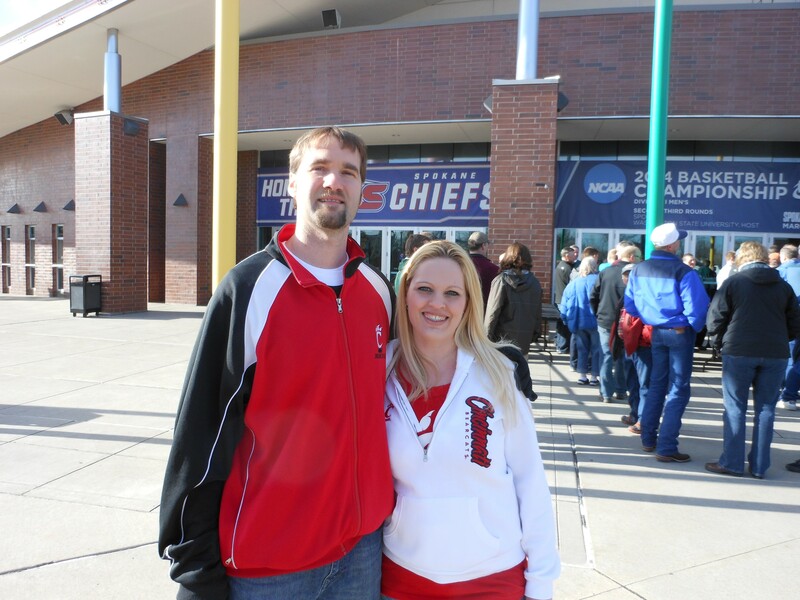 David and Jill Henry battled overbooked flights to make a last-minute jaunt to Spokane to cheer on Cincinnati. The NCAA tournament is fully underway right now and you should be watching it. Even if you're at work — especially if you're at work. Here's how to do that. Here at the Spokane Arena, we're getting ready for the tip-off of what's quite likely to be a fascinating matchup between Harvard (12 seed) and Cincinnati (5 seed). Before the doors to the stadium opened, fans were already lined up to head into the game. Two of those fans were David and Jill Henry, who flew from Cincinnati to Spokane — despite overbooked flights — to be here to cheer on their beloved Bearcats. That's them in the photo. The husband and wife are both alums of the University of Cincinnati and decided early on that they were going to see the team play in the NCAA tournament. "We had the week off, so we were just waiting on Sunday to see where we'd be heading," said Jill, who is at her first-ever NCAA tournament. Then they had to track down tickets — and find a way to get to Spokane, but they made it. They've never been here, but find the town excellent so far. Mostly, though, they're just glad they made it. And, after a long winter in Ohio, they were just thankful that it wasn't snowing here.